If you follow the rainbow you will find a pot of gold. 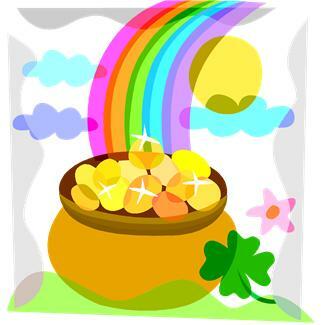 While this is a mythological story, maybe there is a pot of gold to be found in the rainbow. Looking to the majestic colours of the rainbow can lead us to reaching our full potential and great success; our own personal pot of gold. Feeling stuck is common in business building. You can have all it takes and more to build a beautiful soulful business that serves the people you love, yet something holds you back. There are so many different reasons that come up stopping us from moving forward and everyone has their own story. It is fascinating to look at where these issues sit in the body. Working with colour is a safe gentle way to make shifts that will lead you to creating your own pot of gold. So, let’s take a look at some of the common blocks that you may be experience and which colour they relate to. When you are having difficulty focusing on your tasks, getting yourself going or just can’t seem to complete any tasks, focus on red to get you going. Orange is the colour for you if you need to enhance your ability to relate to people, radiant and extend yourself out into the world. Yellow is the colour for your personal power and self-worth. If taking responsibility or trusting your self is an issue, yellow is for you. Green will help you to connect with people at a heart level. If you are having issues with being afraid of letting go, being free or getting hurt, green will see you through. When you need to strengthen your communication in your business, call on blue. This will help you speak freely about your experiences and thoughts, making it easier to really express your true message. Working with indigo opens you up into the truth of who you really are, the guidance from your higher self is leading the way, so this is where you will open up to new ideas and understandings . Violet opens us up to the divine. If you are feeling indecisive, have no spark of joy or lost in a world of your own then a healthy dose of violet can help you along. Each colour relates to a major chakra and having balanced chakras is a real bonus to your business growth and will help you through the toughest times. But life happens and we all have ups and downs. When we are aware of our chakras and the energy that drives us, it is easier for us to understand what is out of balance and what needs a boost. Spend some time feeling into your body and get a good sense of where the emotion or difficulty sits. Focus on the corresponding colour and breathe it in. Colour connects you with your true self. Enjoy the colours around, surround yourself with new ones and have a colourful, successful, happy life and business. Learn more about using colour to grow your business in my 7 day “Colour to Grow Your Business By” 7 day program. Previous : Self sabotage – what’s that all about?